Bronopol is used in consumer products as an effective preservative agent, as well as a wide variety of industrial applications (almost any industrial water system is a potential environment for bacterial growth, leading to slime and corrosion problems - in many of these systems Bronopol can be a highly effective. 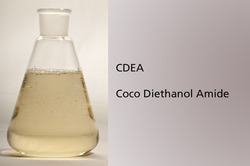 Coconut Oil Acid Diethanolamine Condensate, Coconut fatty acid amide of diethanolamine, coconut diethanolamide, cocamide DEA, coconut oil diethanolamine, n, n-Bis(2-hydroxyethyl) cocoamide, n, n-Bis(2-hydroxyethyl) coconut(fatty acid amide, n, n-Bis(2-hydroxyethyl)coconut oil amide, coconut fatty acids diethanolamide. 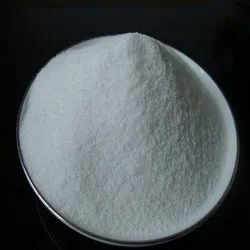 we are supplier of sodha ese. Descaling agent . Perfect solution to remove scales from boiler and allied products. Sulphamic Acid descaling grade. Used for HB measurement in biochemistry analysers. It's cynide free reagent.its safe for the flowcellof analysers. Safe to use for making of different products, this Glycerin Liquid is checked by the experts. Professionals make these products very carefully and offer in the market in many specifications. Safe from moisture, this glycerin is quality checked several times before supplying in the market. We supply glycerin in safe packets to prevent dusting. Our presented series of Merck Titripac Reagents is enormously demanded in the market for their long-lasting nature and superior finish.